Follow the Silk Road from Turkey to Albania. Explore the ancient capitals of the Ottoman Empire. Take a ferry to the delightful Greek island of Corfu. 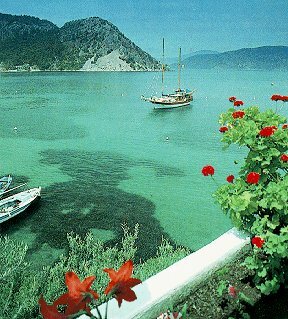 Travel picture of The coast of Turkey. Is there any way I can do this tour in January? I am based in England. Do u have a contact person here I could contact? What is the price of the tour? What does it include?